US equity indexes closed broadly higher, sp +26pts at 2802. The two leaders - Trans/R2K, settled +0.3% and +0.9% respectively. 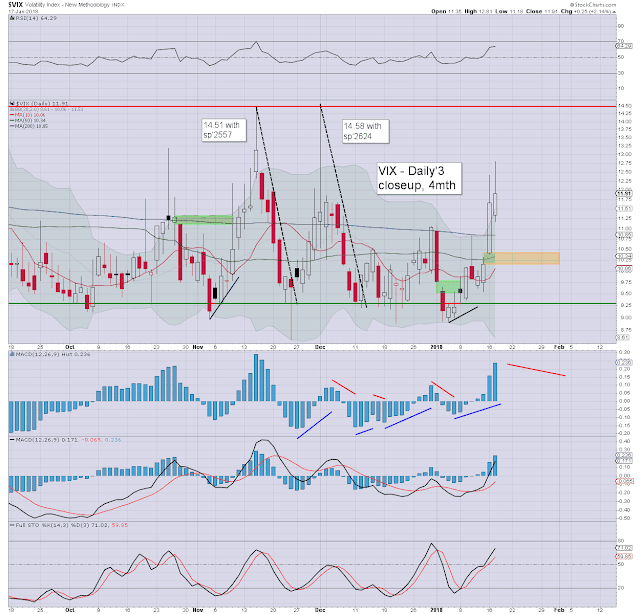 VIX settled +5.3% at 11.91. Near term outlook offers a little chop. More broadly, Mr Market remains on track for the sp'2950/3047 zone by mid summer. 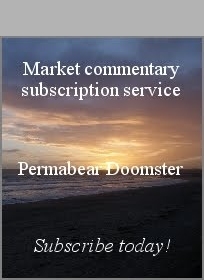 US equities opened moderately higher, and after some early morning 'shaky chop', the market resumed upward, building borderline significant gains. 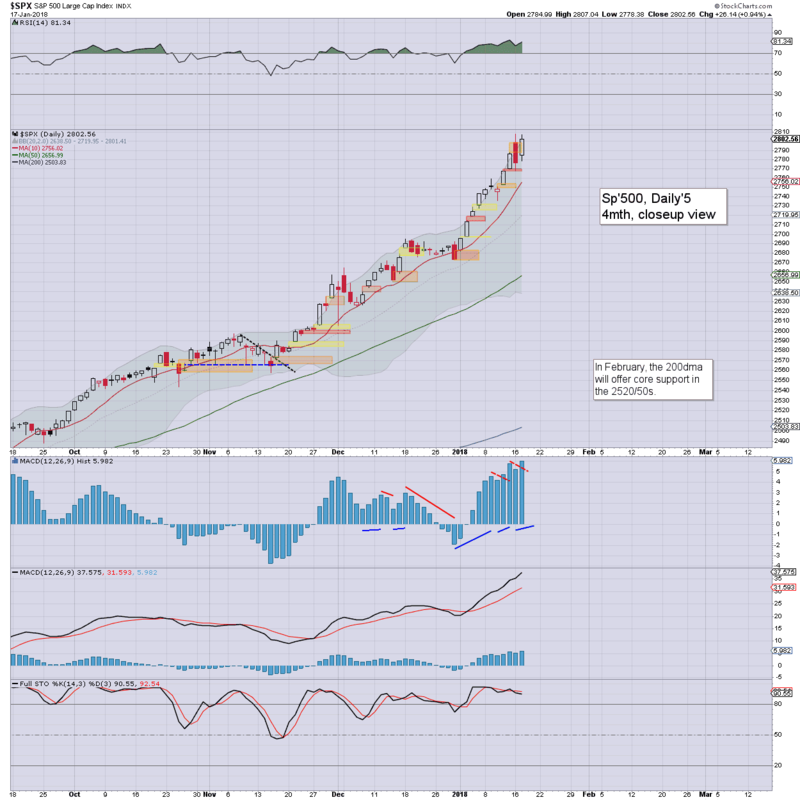 The Dow and NYSE comp' notably broke new historic highs, which does help to negate yesterday's reversal. With equities a little shaky in early trading, the VIX broke a new multi-month high of 12.81, but then cooled into the mid afternoon, settling moderately higher in the upper 11s. 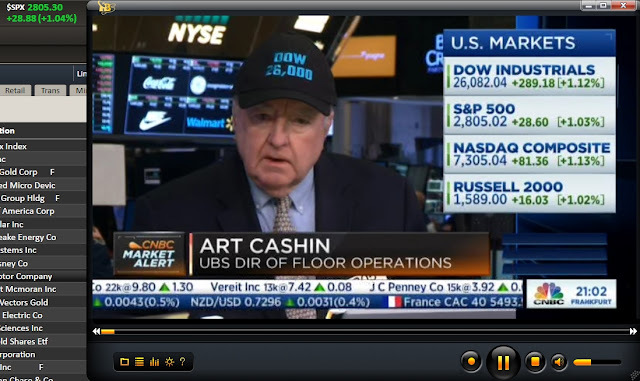 Cashin with an appropriate hat. If I'm right about the mid sp'3200s by year end, Art will need another 3 or 4 hats, as Dow 29/30k would be the direct equivalent. One more day closer to summer.